This December, Jenny joins family and friends for A Whiteley Family Special on Sunday, Dec. 9 at 2:00pm at Hugh's Room Live. Join Jenny along with Ken Whiteley, Chris Whiteley, and son Ben Whiteley plus Diana Braithwaite & Joey Wright for an afternoon of "Bluesy, Folky, & Bluegrassy" musical goodness. In August Jenny is taking part in a Artswells Festival in BC!, and also performing at The Blacksheep Inn in Quebec! Check out our upcoming Shows for more details. In February Jenny is taking part in a Tribute to Willie P Bennet! for a Canadian Folk Music Award for traditional album of the year! Check out https://folkawards.ca for a list of the all of the nominees! Jenny is showcasing at the Americana Music Festival in Nashville this coming week. The Original Jenny Whiteley has received rave reviews and a nomination from the 2017 JUNO AWARDS! Check out http://www.cbcmusic.ca/ for a list of the all of this years Juno nominees! PUBLISHED Sept 28 2016 - Review by Kristin Cavoukian / Exclaim! 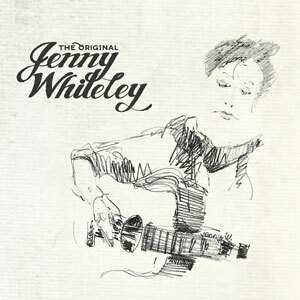 Two-time Juno award-winning Canadian Americana singer-songwriter Jenny Whiteley is back with a gem of a new record The Original Jenny Whiteley, which releases on September 16, 2016 and distributed worldwide by Black Hen Music. The Old School Bluegrass Camp is being held at a beautiful converted public school in Prince Edward County, Ontario, from July 5th to the 10th. There are limited spots available offering campers an incredible ratio of teachers to students, with no more than ten students on any given instrument.